This case is based on the controversy that surrounded harvesting of the Pacific yew from 1989 to 1997 to develop paclitaxel (Taxol), a revolutionary anti-cancer drug. 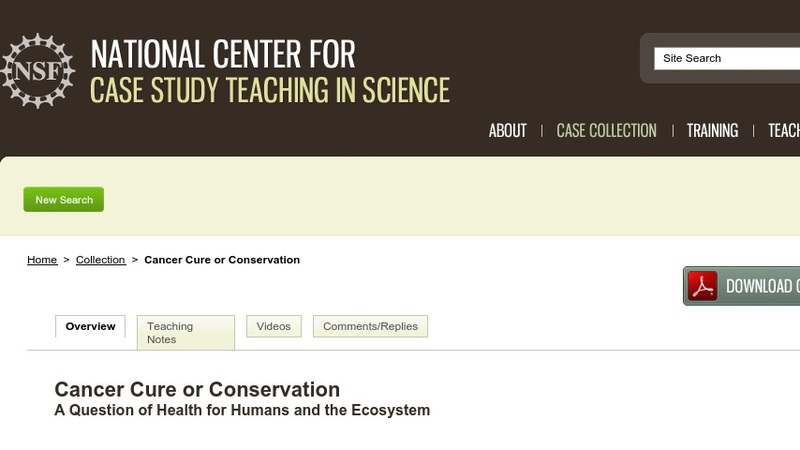 The case was designed to expose students to basic conservation biology concepts by examining competing needs among scientists and other stakeholders in a real-life science-and-society scenario. Developed for a undergraduate introductory biology course for non-majors, the case could also be used in an environmental science course or in a course on the impact of science and technology on society.